41500 is rated 5.0 out of 5 by 2. Rated 5 out of 5 by Racewright from Very well made I purchased this seat to go into my tube chassis drag car. I first borrowed a friends "Kirkey Economy Drag" seat and fit it to my car. It fit the car great, but it did not fit me as well. The "Kirkey Pro Street" is much lighter and it fit me really well. It has alot more support under your legs than the cheaper brands. The cover fits really well, and looks great too. The seat is really "tall", and I had to modify the top a little to fit with my funny car type roll cage. 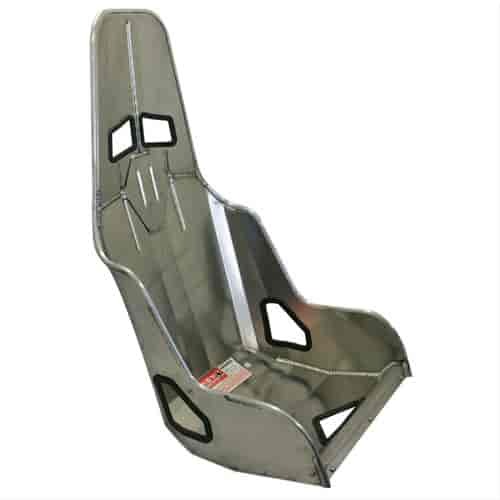 Overall this is a really well made seat, the belts come through in the right places and it's very comfortable. I'm very impressed with Kirkey's quality and pleased with my purchase.. Rated 5 out of 5 by Louieeee from Awesome! My waist actually measured just under 15" but I ended up buying the 16" seat. So happy I did because it fits snug but comfortable. The 15" would of been uncomfortably tight especially in full gear.